This is a wonderful merger. Basically, by bringing these two companies together we are creating immense shareholder value. 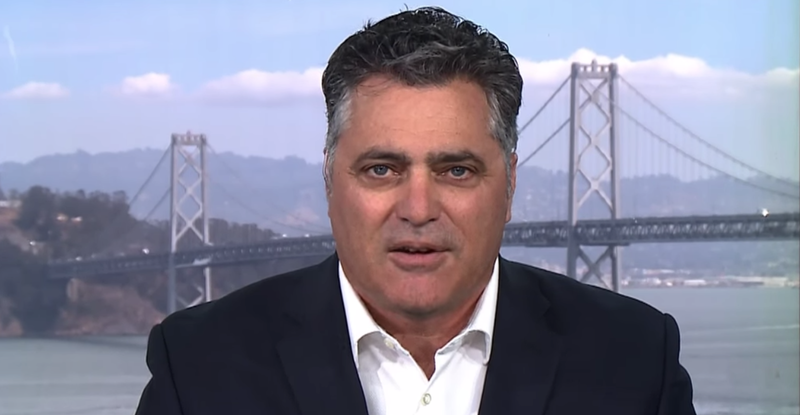 Our plans are that by 2020, just around the corner, our combined company Cloudera plus Hortonworks will be greater than a billion dollars in annual revenues, will be greater than 20 percent year-over-year growth, and will have greater than 15% operating cash flow margins. The amount of shareholder value we will create by bringing us together is immense. Profitability of the combined company is our goal. This has been a rivalry that’s going on for nearly 10 years. We have been going at it really hard against each other and that has made us both better. Competition is wonderful, but now there’s a new set of competitors that we can combine ourselves to be a much stronger company at greater scale and we can take on a new set of competitors, and a lot of it are these cloud guys, where we are extremely well positioned to win in a different market. Samsung Electronics, like all other manufacturers, are instrumenting and connecting the devices they create to the Internet. It’s called the Internet of Things. Every car, every cell phone, everything through a supply chain is being instrumented including autonomous vehicles. We sell technology for our customers to collect all that data and use machine learning and artificial intelligence to understand better how products are being used and to make them more efficient or to build autonomous vehicles. This is what we do. Cloudera and Hortonworks allow us to deliver an enterprise data cloud from the Edge where data comes from all the way to AI, getting insight out of that data. This merger is a win-win for everyone. All of our customers are happy, all of our partners are happy, and yes our partner systems is going to get larger because Cloudera has some unique partnerships and relationships as does Hortonworks. Regarding our IBM partnership, Hortonworks and IBM have had a wonderful strategic partnership. The new Cloudera is going to embrace that partnership much like we Cloudera have had a wonderful relationship with Intel. Now we’re going to bring in the Hortonworks customer base and they’re going to get the benefits of our relationship with Intel. We intend this to be a win-win not only for our shareholders, our partners, our customers, and all of our employees. A lot of the excitement about this merger is people expect us to be the next Oracle. That doesn’t mean we’re replacing Oracle legacy business or their traditional business. No, the world is changing with this Internet of Things. Data is of much more volume and people want to do artificial intelligence machine learning against that data. That’s where we’re going to compete and that’s how we become the next Oracle of the future. The fact of the matter is Oracle is a good partner of ours. Oracle has resold Qatar our software for a long time and we’re excited about what Oracle is doing in the cloud and we intend to work with them there. Cloudera plus Hortonworks working together will be the only provider delivering our software across all the major cloud guys. We work on Amazon, Microsoft, Google, and the IBM cloud and that’s our value proposition, enterprises they can work across all the cloud providers. Adobe CEO: "Adobe Has Really Been on a Tear"